STOP practicing your Sax till you have these. You are damaging your hearing. This mail is very important and something that never occurred to me until recently. I had an ear infection and literally couldn't hear hardly anything for a couple of days. After going for some hearing tests, despite the infection only being in one ear, I found out that I have significant hearing loss in my right ear. This just so happens to be the side I teach sax on. It's estimated that 1 in 6 people suffer from hearing loss and we sax players are significantly at risk. 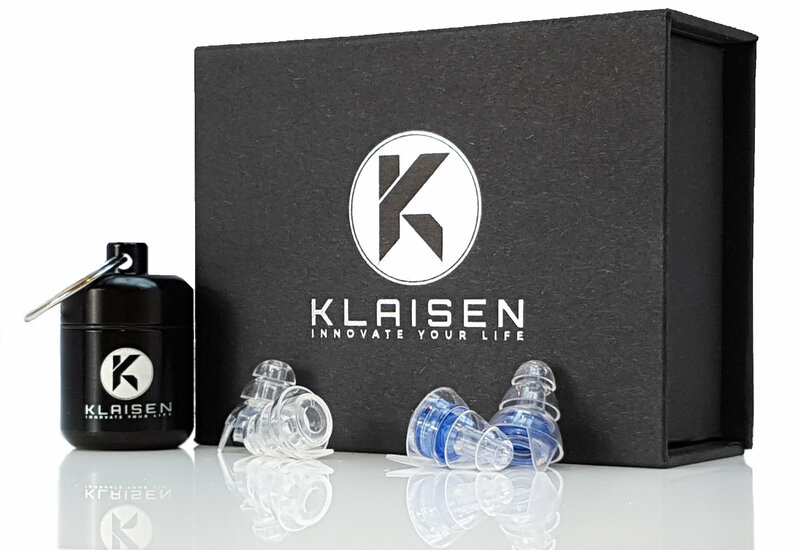 Working with my partner and a laboratory in Germany we have developed the best hearing protection specifically designed for musicians - Klaisen Audio Shields. I have been using mine every time I've played the sax for the past 6 months and they work BRILLIANTLY. They turn down the volume without killing off all of the sound like other ear plugs do. They're perfect for Sax, Drumming, Live Music, Concerts, Festivals or any Loud environment where you need to protect your ears and hear what's going on. I've just launched them on Amazon UK with shipping to the US + Europe. Your ears are the most important piece of equipment you have so do everything you can to protect them. Playing your sax can gradually damage your hearing like it has mine but with these Audio Shields you can practice without risking hearing damage. The Klaisen Audio Shields come with a Aluminium Canister to clip to any key ring so you can always have your plugs with you. Perfect for gigs + rehearsals. They are also an amazing gift and come with a gift box included. Let me know how you get on with them when they arrive.